I know, I know. I haven't written in FOREVER. I am sorry. 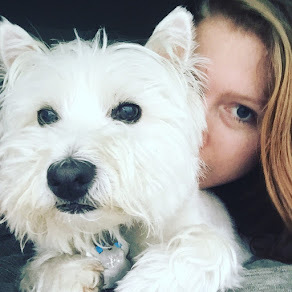 In all fairness, I have spent the summer reading the sixth book in the Outlander series and the entire Sookie Stackhouse series (by the wonderful Charlaine Harris) so obviously I can't blog about those without ruining anything and everything for people who have not (yet) read either series. But I have been enjoying myself immensely, so that's good. I am almost done with a non-series book though, so I will review that soon. However, I have a non-review bit of news. 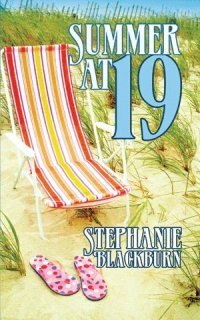 "Summer At Nineteen", aka my baby, is now in ebook form. I have mixed feelings about this. For a few years a coworker has been trying to sell me on the merits of having an ereader and while I agree with his selling points, I absolutely refuse to buy one. You're probably thinking, that doesn't make any sense. It's easy, conveneient, and being a germaphobe is an obvious choice. I agree with you, except for three things. One. One of my dreams (the list is fairly extensive) is to have a library in my house. In order to make that dream come true I need physical books. Otherwise, that would just be silly. Two. I love the smell of a book. Three. I love the feel of the pages under my finger as I read and the crack of the binding when you first open the cover. So you see, I cannot use an ereader. Ever. I'm fine with that. To each his/her own. But then, on Saturday I went to B&N and had a moment of absolute panic when I saw the lackluster turnout (usually on weekends parking is limited) and saw the new layout. Ereaders are taking over B&N! Of course then I realized that if people continue to buy edreaders then eventually publishing companies will no longer print out books in hardcover and paperback and the irrational part of me began grabbing at every book I might potentially read in the future because clearly B&N is closing tomorrow. That was irrational, I know. But it's also true, don't you think? At some point all those people out there who have not yet converted to ereaders will (it reminds me of an episode of Star Trek the Next Generation where everyone got addicted to this weird headset game from another planet that basically turned everyone into zombies and Data had to save the day. But I digress.) and then what will happen to books? How will I fill my Beauty & the Beast library? That being said, "Summer At Nineteen" is available now in ebook form here. As always, should you prefer a physical copy (which I fully support) you can get an autographed copy for $16.95 (shipping included) by sending me a message.